Ideal for patients experiencing self-confidence issues, discomfort or lack of function with their existing teeth and mouth, cosmetic dentistry offers a variety of solutions to suit each specific concern. Utilising innovative products, treatments and techniques, our cosmetic dentists transform your mouth with non-invasive and gentle services. From minimising the appearance of gummy smiles to laser teeth whitening, the team at Balmain dentist helps to enhance the appearance of your smile with targeted procedures and treatments. At Balmain Dentist, we utilise innovative WaterLase technology for a number of procedures and treatments. Combining light energy with a stream of water, WaterLase allows us to work in a minimally invasive way but with greater precision. Less traumatic for gums and teeth and minimising the requirement for excessive anaesthetic, dental procedures become more relaxing, gentle and comfortable for patients. Find out more about our laser dentistry services. Thanks to extensive research and studies, the treatment of sleep apnea and persistent snoring has come a long way. The team at Balmain Dentist offers a variety of comfortable and effective solutions and devices, including Mandibular Advancement Splints (MAS), to minimise the disruption and severity of sleep apnea. If you’ve undergone treatment before, whether moderately successful or unsuccessful, chat with our dentists to learn more about effective new techniques, solutions and devices to help you overcome sleep apnea or snoring. 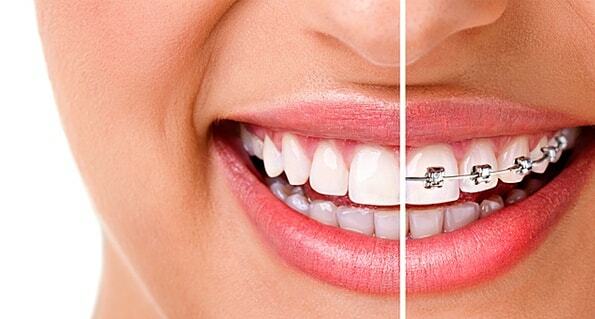 Used for straightening teeth, fixed braces are one of the most common orthodontic treatments available. Effective and affordable, fixed braces allow you to achieve fine details and results for a balanced, straight and perfect smile. Fixed braces can be utilised to correct teeth crowding, restricted breathing, misaligned bites and uneven teeth placement and are often used in conjunction with additional orthodontic appliances for a complete alignment. Ideal for any stage of life, Balmain Dentist offers advice for creating and fitting of braces for patients of all ages.